Granite countertops have become one of the most popular options for kitchen counters over the last decade or two. This is often because of how beautiful they are, along with how long they last. There are some out there who are not sure if granite countertops are the best option for their kitchen renovation. Here is a look at some of the most common countertop myths when it comes to granite. Which of these myths do you believe are true, and which are not? While granite is not the least expensive option out there, it certainly is not the most expensive option, either. 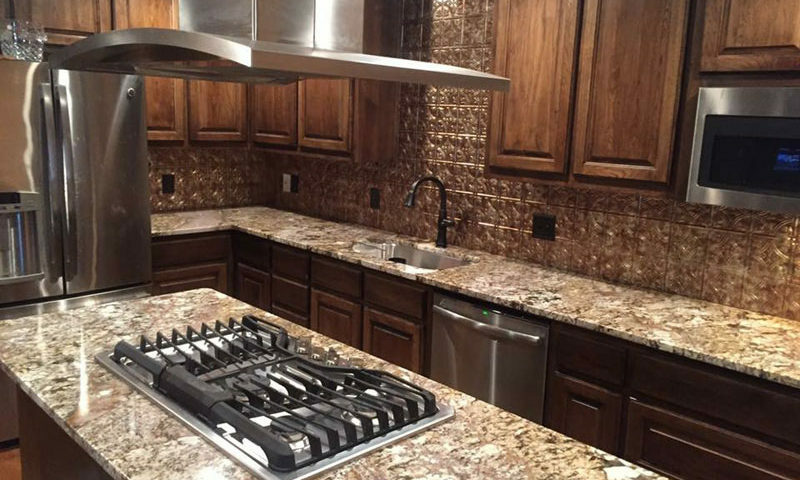 Thanks to a high level of demand, there are tons of granite counter options out there. This brings the price down to a more reasonable level than it ever used to be. Plus, when you also include the fact that your granite countertops could outlive your home, it makes them a more affordable, long-term option. Consider them an investment into the happiness you plan to have in your home, no matter where you have them installed. They look gorgeous, and will not need to be changed out in a few years from overuse, so long as you take care of them. Many people confuse granite countertops with simply being a trend. By calling them a trend, it implies that the trends will change, and granite will no longer be a good option. This is not the case. Granite countertops are popular. This means that they are a loved material by many, and they will continue to be for the foreseeable future. Many people have them installed in their homes on a daily basis. They will last for many years, potentially a hundred years or more with proper care. Let your home use the popular materials that you also love. By installing them in your home, you get the benefits that come along with granite, without the worry of them making your home appear dated anytime soon. Granite countertops do require some maintenance. However, it is not a lot. You need to clean them up after you use them. Well, you should be doing that after you use any countertop, no matter what material it is made of. Plus, about once each year, you should also seal your granite countertops. You may need to do it slightly more often if you use the surfaces regularly. This protects the granite from anything soaking into it or staining it. However, so long as you make sure you do these simple things, you should not have any trouble enjoying your counters for many years to come. This is one of the more common myths about granite countertops. Thankfully, this is also incredibly untrue. Your kitchen countertops are going to be used for food preparation. That is what your kitchen is for. So, you do not want to put something in your kitchen that could make that process more difficult. Granite has very small pores. This makes it much more difficult to have any food particles or bacteria soak into it. Plus, you should also have your granite sealed, as we mentioned. This protects your counters from having any issues with food being prepared directly on the surface. Granite is naturally resistant to things like mildew growth. This makes it even better for you to use as a food prep surface. This myth is purely untrue. Granite comes in more designs, colors, and variations than most other natural stones. It can definitely add a lot of allure to your home. The best way to go about installing granite countertops is to get an idea of what the rest of your kitchen will look like. Know that you want granite for your countertop material. Pick out what other colors will go into your kitchen. Pick out the paint, appliances, and accents that you want around your kitchen. Then, once those choices have all been made, go out and pick out the color of countertops you think will go best. Bring paint samples and small accents with you so you can see the granite up against them. The best way to be sure that your granite will match is to see both of the items in the same light. Otherwise, you may get home only to realize that your colors clash, which could cause trouble down the line. If you want to know more truths about granite countertops, call us here at Granite Huggers. You can reach us by calling (972)670-4533. Let us know what you are thinking for your kitchen renovation or build, and we will show you how granite countertops will only make the project better!